Cadillac's Black Diamond package is available on all three versions of the CTS-V — tiny, medium and magnum — and adds $4,850 atop the price. For the added cash, you'll get shimmering-like-a-sparkle-vampire SpectraFlair paint, microfiber suede Recaro seats and Midnight Sapele wood accents. 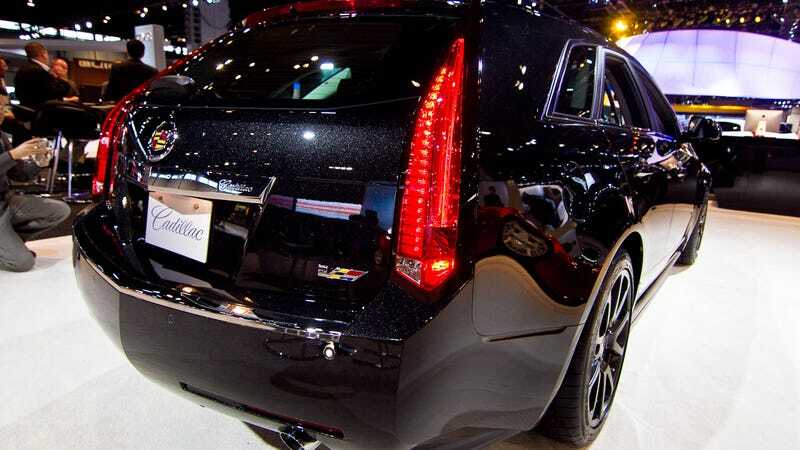 We saw it yesterday here in Chicago in magnum size, and yes, we like our CTS-V wagons like we like our... coffee. Big and black. Here's our long, massive gallery of black wagon-y goodness.